We are sincerely grateful to everyone who has helped to make our 2016-2017 Hopes & Dreams Quilt Challenge a wonderful success! 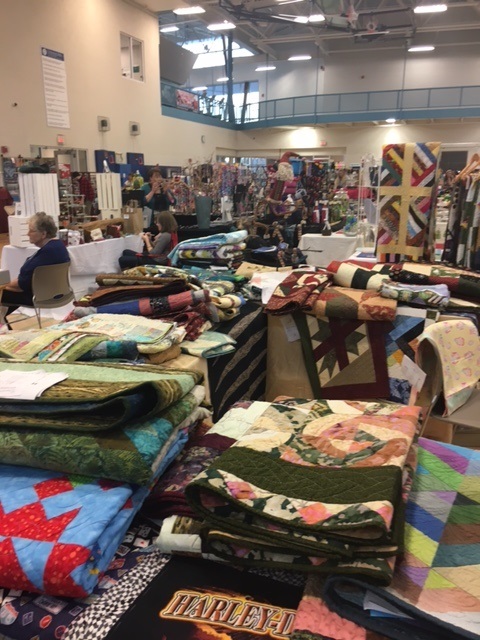 During the 2016-2017 Challenge, which lasted from Aug. 1, 2016, until July 31, 2017, we received 1112 quilts and quilted items generously donated by caring quilters who gave their time, talent, and supplies to provide love and support to the ALS community. 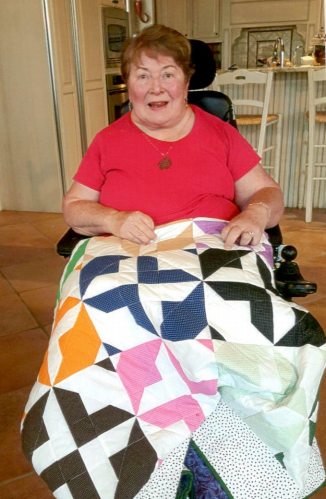 Most of the donated quilts have been hand delivered to ALS patients throughout the United States with the help of many chapters of the ALS Association. The quilts provide not only warmth to patients, but wrap them in the love and comfort that a handmade quilt brings. We often receive and publish on our Facebook page lovely notes and pictures from ALS patients who have received a Hopes & Dreams quilt, which touches our hearts and show just how much these quilts mean to patients and their families. Select quilts and craft items are sold, auctioned, and raffled to raise funds with 100% of the money used for ALS research! This year we attended Virginia Beach's Santa's Stocking Craft Show and the Aviation Museum's Air and Auto show and sale. Quilts were also sold at Richard Stravitz Fine Arts Galleries. The Hopes & Dreams Quilt Challenge for ALS raised over $17,000 for research, supporting Emory University School of Medicine, The Packard Center for ALS Research, and the Felman Lab ALS Research in their fight to find a treatment and an eventual cure for ALS! We will soon be announcing the winners of the Challenge, and posting pictures of select quilts to vote for your favorite in our "Sew Popular" division!